When the Center for Disease Control has its funding temporarily cut, Luke attempts to reach a compromise to have the money reinstated, but Red's political machinations undermine him at every turn. 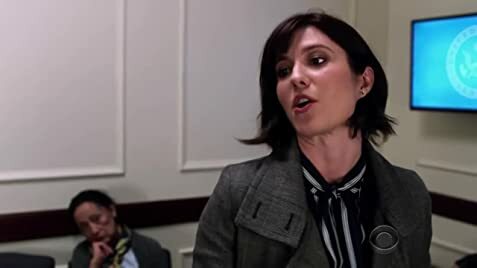 How many episodes of BrainDead have you seen? A young, fresh-faced Hill staffer gets her first job in Washington, D.C. to discover two things: The government has stopped working, and alien spawn have come to earth and eaten the brains of a growing number of Congressmen and Hill staffers. 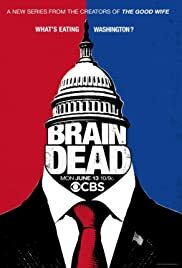 I decided to give BrainDead a shot even though I did not expect to like it. When television shows try to blend genres I typically lose interest because it is rarely done well. BrainDead surprised me. I am four episodes in and have enjoyed each one. As you can see from the episode ratings, the show grows stronger each week. While the subject matter itself is silly there is the right amount of politics and humor to keep the show moving forward at a solid pace. The comedy is often dry, like they're not trying, I appreciate this and believe this type of humor is not utilized enough in today's television. I'd like to give a shout out to Johnny Ray Gill who plays Gustav Triplett. Most of the laugh out loud scenes originate with this guy, he is the most enjoyable part of BrainDead at this point.